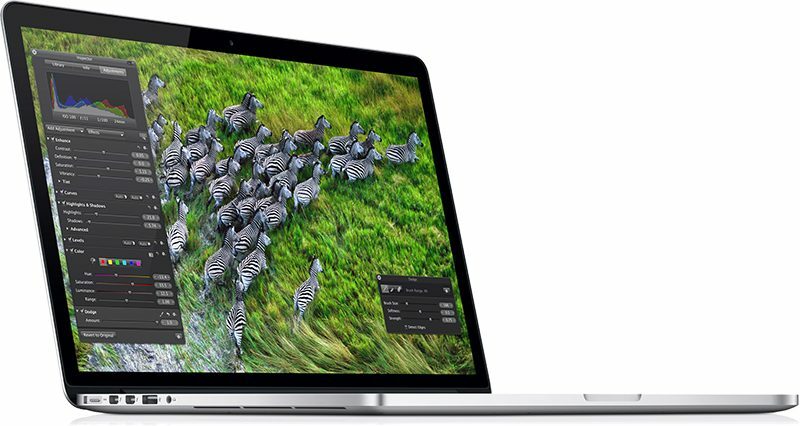 A few months ago, in an internal document obtained by MacRumors, Apple indicated the Mid 2012 model 15-inch MacBook Pro with Retina display would be classified as vintage or obsolete as of June 30, 2018, marking the notebook's end of hardware service eligibility at Apple Stores and Apple Authorized Service Providers. In a notice distributed to Apple Stores and Apple Authorized Service Providers this week, however, Apple says it "incorrectly classified" the notebook as vintage or obsolete on June 30, and revised the date to December 31, 2018. 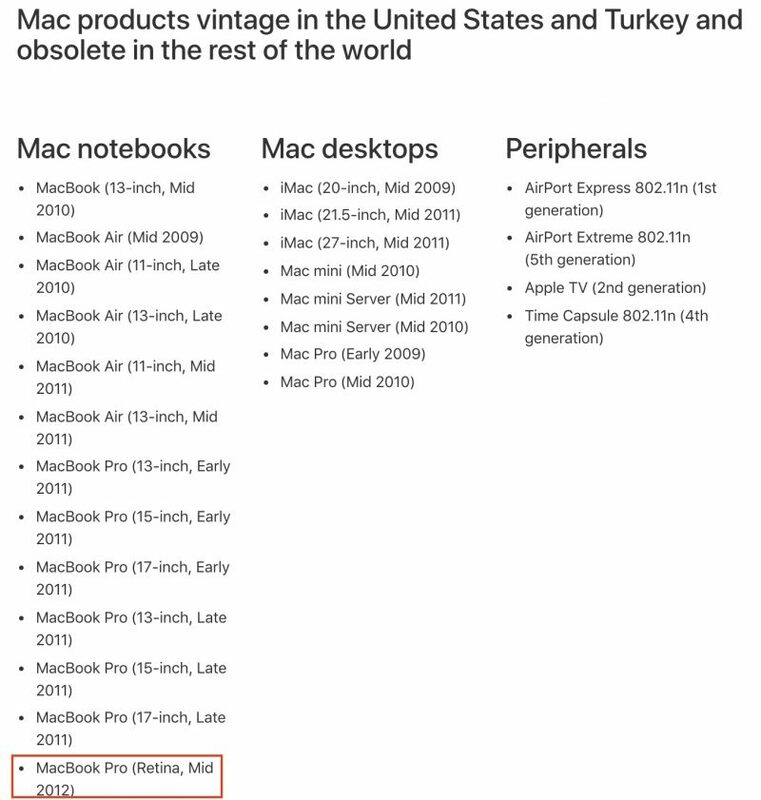 In a Service News article published in May 2018, the MacBook Pro (Retina, 15-inch, Mid 2012) was incorrectly classified as vintage in the state of California (U.S.) and country of Turkey and obsolete worldwide (except for California and Turkey) on June 30, 2018. Apple apologizes for any inconvenience this may have caused. Apple has yet to remove the notebook from its public-facing vintage and obsolete products list, as shown below. Apple considers a product to be vintage or obsolete, depending on the region, when at least five years have passed since the product was last manufactured. When this happens, Apple and Apple Authorized Service Providers stop offering hardware service, like repairs, except in California and Turkey by law. All in all, if you're still using this particular MacBook Pro, it turns out you still have a little under six months of hardware support remaining from the Genius Bar and certified repair shops. So, if you've been looking to get that battery replaced, or otherwise, it would be best to do so sooner rather than later. Beyond that date, you're on your own. Fortunately, the repair experts at iFixit offer many do-it-yourself guides and replacement parts. So they give you a 6 month reprieve before forcing you to toss it in the landfill. Thanks, Apple. That's right, slobber! As soon as the service date ends, the Mac self-destructs and is completely inoperable. Tim Cook then arrives at your house with sunglasses and a machete, presses it to your throat and tells you to toss your Mac in the landfill or bad things will happen. When the 2016 mbp is obsolete and it's up to us to repair our own machines we are screwed. What are you talking about? The 2016 MBP was obsolete the day it came out. Six years seems to be a fair amount of lifespan before getting a new computer. It's been six years and we're still stuck with 256GB of storage on the base 15" model. That's what I love about computers unlike smartphones and tablets. Thank Intel and the rest of the industry for the slow pace of innovation. Back in the 90's, if you had bought a computer in 1992, it would be ridiculously in need for an update in 1998. I mean, in 1992, there was no such thing as 3D graphics cards in the market, and in 1998, there were Voodoo 2's running Unreal. In 1992 a sound card were crappy and totally optional, in 1998 it was a given in any computer and they were PCM based. In 1998 you got your fancy 3.5" floppy in 1998, some more expensive builds had DVDs, and Steve Jobs wanted to take your floppies away. In 1992 some people were insisting (still) that you only could do real work on text user interfaces, and in 1998 GUI was not a question, and Java was a thing. In 1992 you had thy centronics and RS232 on PCs or SCSI on Macs, in 1998 the iMac had USB and FireWire and Ethernet as standard. In fact, a mundane PC in 1998 like the iMac G3 could emulate a 1992 PC purely in software. It's a 6 year old model and it's still modern.